Continuing from the previous post, we went to Ho Chi Minh Mausoleum right after we explored Temple of Literature. 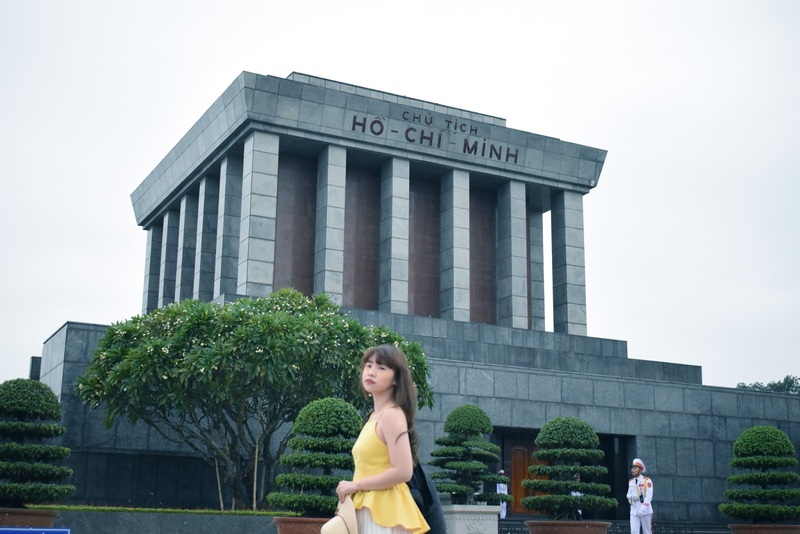 Ho Chi Minh Mausoleum is the final resting place for Vietnamese Revolutionary leader. 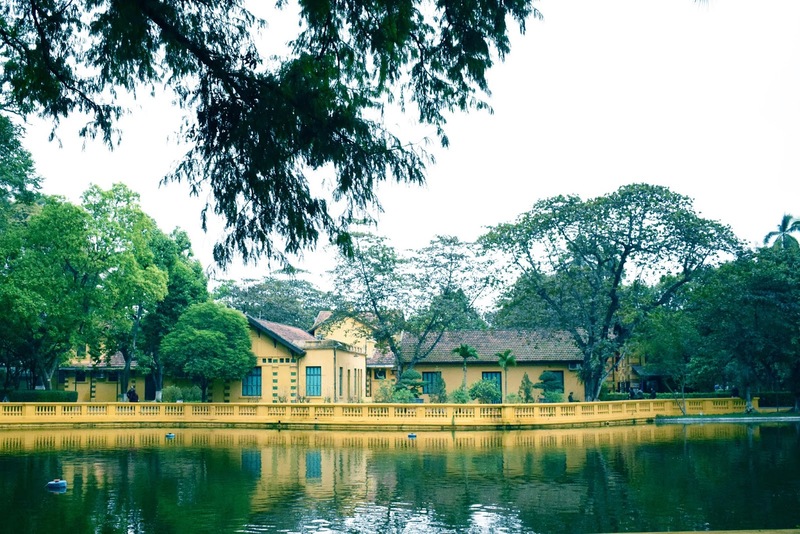 It is located in Ba Dinh Square and one of the most visited attractions in Hanoi. 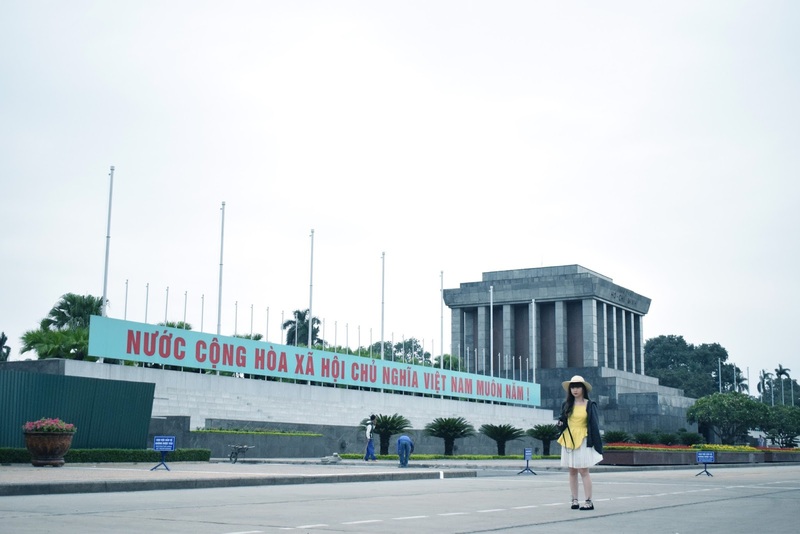 When we went there, there were a large banner written in Vietnamese language that stated the Ho Chi Minh Mausoleum was under construction(?). I don't know what's going on since I don't understand their language, all we know is that we couldn't enter the building and we could only take pictures from the outside. But I guess if it wasn't under construction, they wouldn't let me in either since I was wearing a sleeveless top with a mini skirt which violates their rules. Also, it is their leader's final resting place which is why visitors should dress with respect; no sleeveless shirts, shorts and mini skirts. If you're lucky, you might witness the changing shifts for the guards outside the Ho Chi Minh Mausoleum. After taking a few pictures(read: a lot of pictures because the wind blew hardly that day and it ruined most of my pictures because all you can see is my hair sticking on my face), we walked to the backside of the Ho Chi Minh Mausoleum where you can see the official home of Vietnam's President; a three-stoney structure with 30 rooms. All the buildings at the Presidential Palace are painted in mustard-yellow colours to enhance the characteristic of French architectural style and is constructed by Auguste Henri Vildieu. 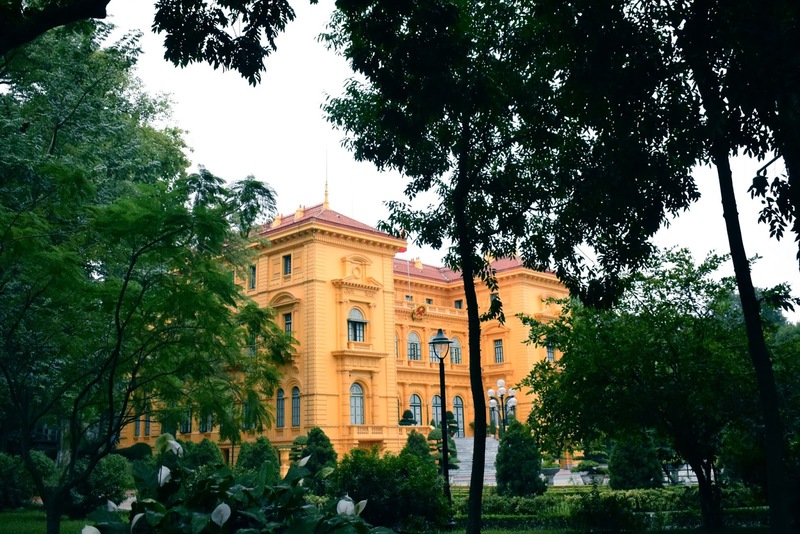 The Presidential Palace is surrounded by botanical gardens, lush fruit groves especially mango trees and pond filled with carp fishes. 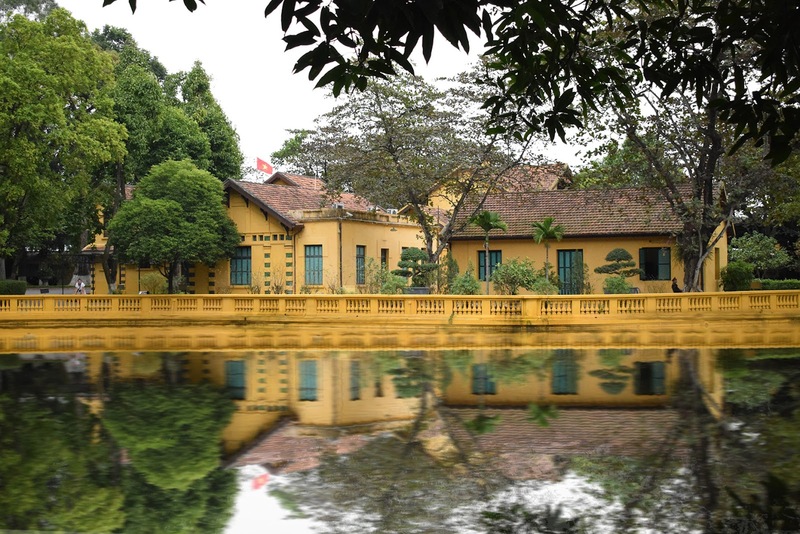 It is said that the Vietnam's President never lived inside the three-stoney structure, he resided in a cottage near the palace instead. The building is open the public(I heard you can pay VND 25,000 to enter but not sure) but we didn't get the chance to enter as it was not included in our tour, so we walk around the grounds. Walking towards the end of Presidential Place, you will be teleported into a new place called One Pillar Pagoda. It is a Pagoda that is located elegantly in the middle of a small square shaped lotus pond. The One Pillar Pagoda is said to represent a lotus flower growing up out of the water. I must say that this pagoda is beautiful and clean, even though there were dozen of tourists roaming around it every single day. I didn't get the chance climb up the stairs to pray as when I wanted to, theres already people queuing for it and I simply couldn't wait since I went here with a tour and there's a time limit everytime we go somewhere. 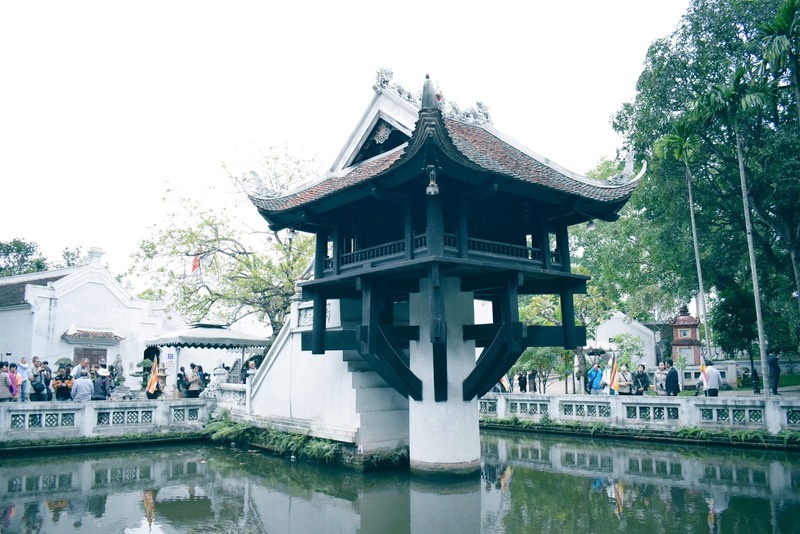 The pagoda is often used as a symbol for Hanoi and remains one of the city’s most revered sights in a beautifully tranquil garden setting with benches provided for comfortable contemplation. 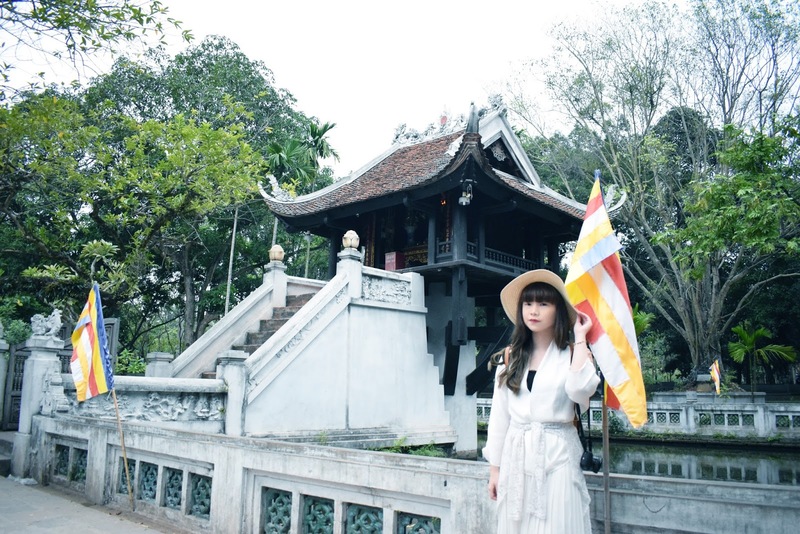 The shrine inside the pagoda is dedicated to the Vietnamese Buddhist deity Quan Am with her effigy nestled inside the tiny three square metres temple. Legend claims that The One Pillar Pagoda was built following a dream by the fatherless emperor in which the enlightened being Avalokiteshvara gave him a baby son resting on a lotus flower. Emperor Ly Thai Tong commissioned the pagoda to be created in resemblance of this lotus flower which is also the Buddhist symbol of enlightenment. The Emperor remained in gratitude to the bodhisattva and subsequently to to Quan Am, the Goddess of Mercy following the birth of his son. Inside the temple a richly gilded statue of Quan Am takes centre place at the main altar. Praying at The One Pillar Pagoda is said to bring about blessings of fertility and health. 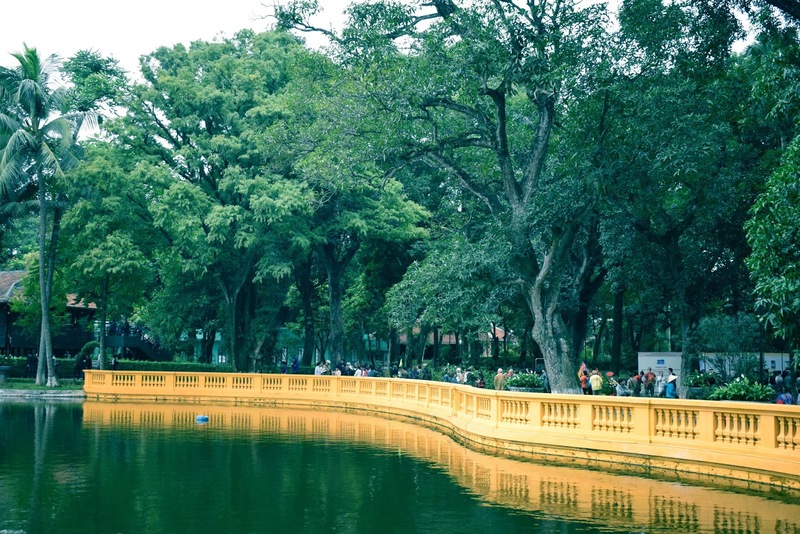 Location: Situated in the park behind the museum near Ba Dinh Square at Ong Ich Kiem Street in the Ba Dinh District. Remarks: Appropriate attire should be worn if you are entering the temple; prayers take place continuously throughout the day.